Lorene Delany-Ullman received her M.F.A. in English from the University of California, Irvine. Her book of prose poems, Camouflage for the Neighborhood, was the winner of the 2011 Sentence Award, and published by Firewheel Editions (December 2012). She recently published her poetry and creative nonfiction in Santa Monica Review, TAB: The Journal of Poetry & Poetics, Prime Number, Sports Literate, Stymie, Lunch Ticket, AGNI 74 and Warscapes. Her poems have been included in anthologies such as Beyond Forgetting: Poetry and Prose about Alzheimer’s Disease (Kent State University Press, 2009) and Alternatives to Surrender (Plain View Press, 2007). She works in collaboration with artist, Jody Servon, on Saved, an ongoing photographic and poetic exploration of the human experience of life, death, and memory. 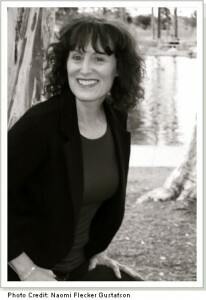 As one of the founding committee members of the Casa Romantica Reading Series in San Clemente, California, Delany-Ullman organized and hosted monthly poetry and fiction readings for six years. She currently teaches composition at UC Irvine.